Large Eddy Simulation (LES) modelers must begin to answer the question of how to better incorporate large datasets into simulations. This question is important because, at a given location, the diurnal, seasonal, and day-to-day variations of atmospheric stability have significant consequences for the power generated by wind turbines. 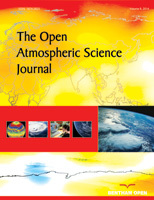 The following study provides a methodology to obtain discrete values of surface flux, inversion height and geostrophic wind for LES using field data over multiple diurnal cycles (averaged over a month) at 12 Local Time (LT) (during the convective ABL). The methodology will allow the discrete LES to quantify the day-to-day variations over multiple diurnal cycles. The study tests the hypothesis that LES can capture the mean velocity and TKE profiles from the averaged variations in surface heat flux at 12 LT measured in the field (mean, +1 standard deviation, and -1 standard deviation). The discrete LES from the mean, +1 standard deviation, and -1 standard deviation surface heat flux represent the variations in the ABL due to the day-to-day variations in surface heat flux. The method calculates the surface heat flux for the NREL NWTC M5 dataset. The field data were used to generate Probability Density Functions (PDFs) of surface heat flux for the January and July 12 LT. The PDFs are used to select the surface heat fluxes as inputs into the discrete LES. A correlation function between the surface heat flux and the boundary layer height was determined to select the initial inversion height, and the geostrophic departure function was used to determine the geostrophic wind for each surface heat flux. The LES profiles matched the averaged velocity profiles from the field data to 4% and the averaged TKE profiles to 6% and, therefore, validated the methodology. The method allows for further quantification of day-to-day stability variations using LES. Keywords: Surface heat flux, Atmospheric boundary layer, LES, Atmospheric stability, Wind energy, Probability density functions. © 2018 Nielson and Bhaganagar.